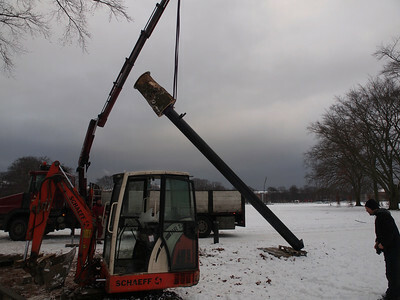 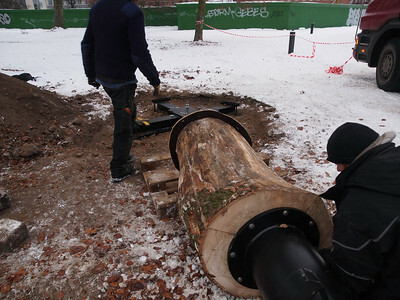 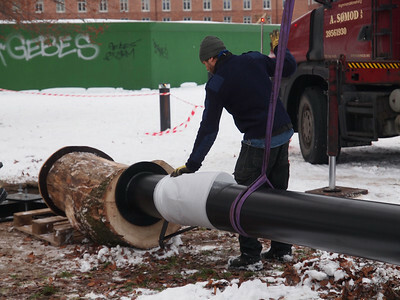 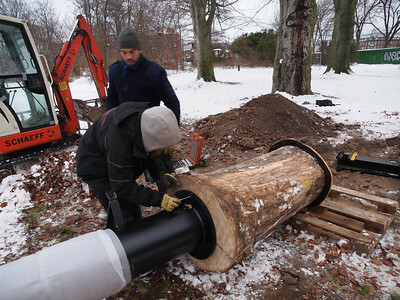 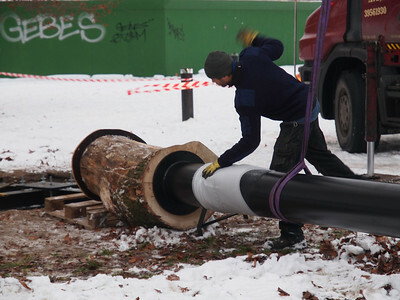 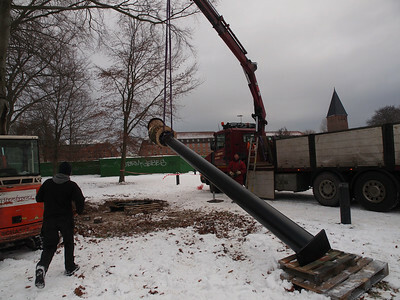 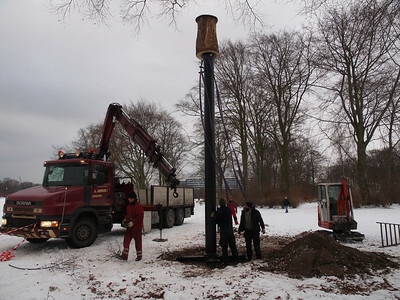 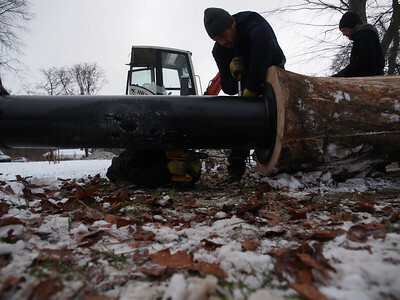 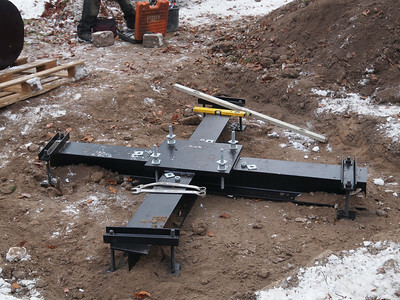 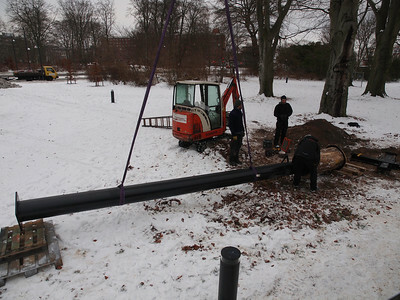 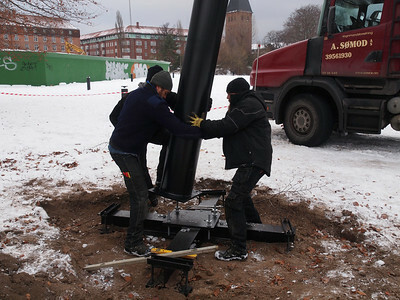 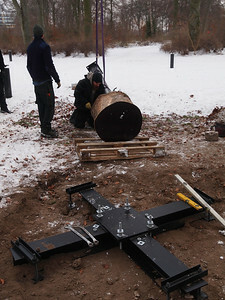 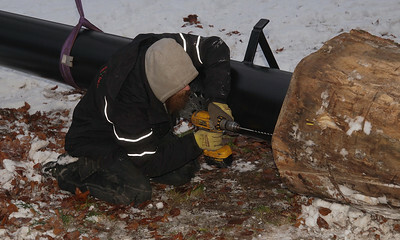 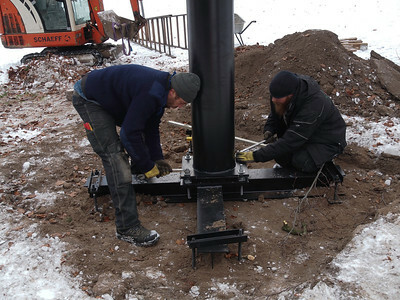 Installation of a Bat habitat in Fælledparken, Copenhagen. 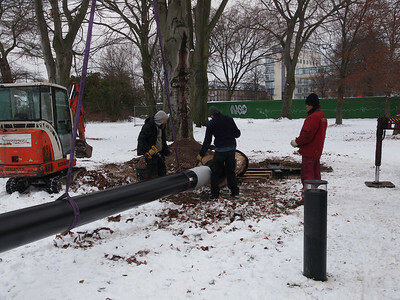 The project was requested by The City of Copenhagen. 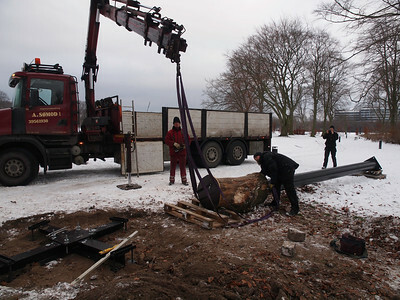 The old oak tree that used to house the protected bats had to come down. 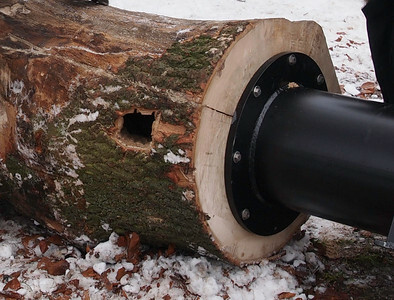 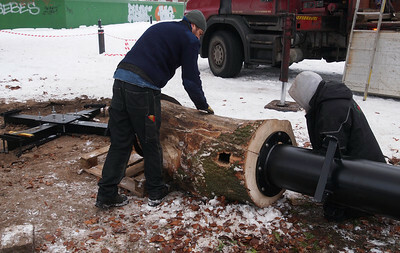 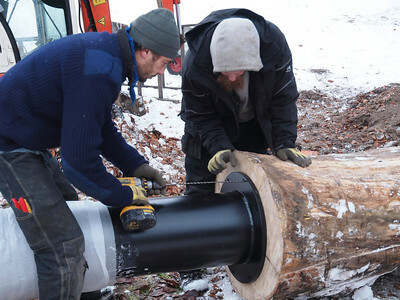 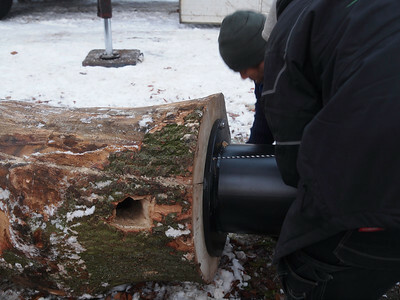 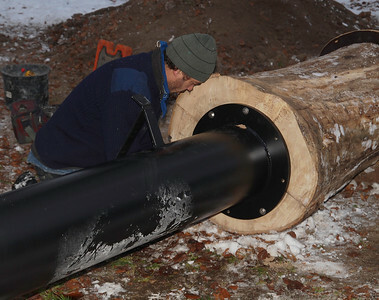 The new oak log has been prepared by 'Stenbroens træpleje og anlæg' in corporation with a bat specialist. 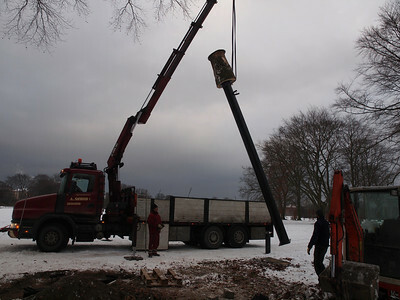 The steel foundation was prepared by Martin Bager for 'Dansk Stålfundering'.